Methadone is a synthetic opiate used to treat pain. Though it is sometimes used for this purpose, today, it is most often utilized in drug rehab or detoxification centers around the country. 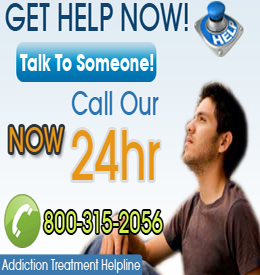 Methadone can help individuals overcome addictions to other opiates or narcotics. It allows users to be slowly weaned off of the drugs they are addicted to, helping to ‘quiet down’ the withdrawal symptoms. When persons are able to avoid uncomfortable and distressing withdrawals, it makes it easier to quit. What Leads To A Methadone Addiction? Though methadone is used to treat addictions, it is also possible to develop a dependency to it. Individuals often first develop a tolerance to methadone and then become either psychologically or physically addicted to it. Persons that take methadone chronically or for long enough and then stop, will experience withdrawal symptoms, sometimes very serious. It is important for individuals to overcome an addiction to methadone because there a number of risks associated with a dependency to this drug. An overdose, which can be deadly, is a risk, as is respiratory depression, spasms of the intestinal track and stomach. A person may also slip into a coma. An addition to methadone generally occurs after a person has been taking it for a long time. Those who have been prescribed the drug for legitimate purposes such as pain are at risk of developing an addiction just as those who use it recreationally. Some individuals who have developed a dependency to methadone will begin using heroin instead because it is easier to obtain. Persons can purchase it on the streets. It is much harder to keep up an addiction to prescription medications because it can be incredibly difficult for users to legally purchase it. Methadone can be just as addicting as the illicit drug heroin, though sometimes it is used to treat dependencies to it. Respiratory depression, death and insomnia are all potential negative effects of methadone addiction. Persons addicted to methadone are a risk of dying from an overdose. Respiratory depression and stomach troubles may occur in individuals addicted to methadone. A methadone addiction can cause personal and relational troubles.